"...Red Theater's latest offering brings the culture of live video gaming to theatre audiences. 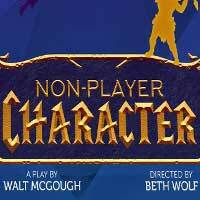 Much like other plays, such as "She Kills Monsters" and "Theatre of the Arcade," which offers a mash-up of five classic video games adapted for the stage, theatergoers who revel in playing electronic fantasy games will love Walt McGough's play. The production is imaginatively staged by guest director, who brings the action to within just a few feet of her audience. She's guided her splendid ensemble to perfection. She may even have inspired a few patrons, who've never indulged in this form of entertainment, to give it a go in the world of fantasy role playing. Just beware of those man-eating pumpkins!"